When Joanna Bailey (not her real name), a British journalist formerly based in Lebanon, became the victim of a sexual assault in Beirut, she sought help at a local police station. As she was giving her statement, the police dragged her assailant into the room. The man had been beaten up, and was subjected to further violence in front of her. “One of the officers took off his belt and began beating him with it for what felt like ten minutes.” When Bailey asked the officers to stop, “they said it was the only way he would learn,” she recalls. “After that they made him strip down to his underwear in front of me and jog on the spot for about 30 minutes.” Bailey left feeling not only profoundly disturbed by the assault on her, but distressed at the extrajudicial punishment meted out to her attacker. Such stories of ritual humiliation, mistreatment and beatings are familiar to many detainees in Lebanon. A lack of training and poor human rights awareness among police officers means many turn to violence to obtain confessions from suspects. According to a report released earlier this year by the Lebanese Center for Human Rights (CLDH), around 60 percent of detainees experience some form of torture or mistreatment. One death as a result of torture was recorded in 2010, the report said. Prison conditions are just as bleak as those at police stations, with inmates being locked away without trial for years in grossly overcrowded and unhygienic conditions. With almost no rehabilitation services available, most prisoners spend their days confined to their cells, chain-smoking, chatting and, when tempers flare, fighting. In the last three years, 400 people arrested on security charges have been subjected to procedure violations that made their detention arbitrary, the CLDH report found. Lebanon’s 20 prisons can officially hold 3,653 inmates, but in 2010 provided an uncomfortable abode to some 5,324 prisoners, an earlier CLDH report found. Roumieh, Lebanon’s biggest men’s prison, built with a maximum capacity of 1,500 inmates, held about 3,500. According to Moukheiber, with the exception of Roumieh, none of Lebanon’s prisons were built specifically as penitentiaries. 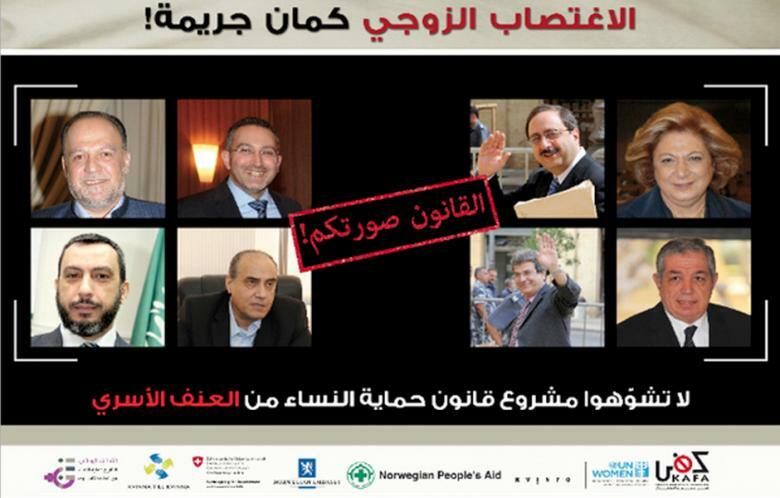 Lebanon is a signatory to the UN Convention against Torture and other Cruel, Inhuman or Degrading Treatment or Punishment, as well as its Optional Protocol, but has not yet fulfilled its obligation to establish a National Preventative Mechanism against torture. It is also several years overdue in submitting a report to the Convention’s Committee on the measures it is taking to implement the treaty. In a damning 2009 report to the Lebanese government by General Ashraf Rifi, head of the Internal Security Forces (ISF), the body which overlooks prison administration, two-thirds of all prisoners were found to be awaiting sentencing. Around 250 foreign prisoners remained in prison after completing their sentences, largely due to deportation complications, Rifi said. Most were imprisoned for lacking the necessary paperwork to remain in Lebanon and included a number of refugees and asylum seekers. With minimal funding being allocated to penitentiaries, Moukheiber told IPS that the Lebanese state was failing to provide prisoners with the vital rehabilitation, health and educational services they needed in order to reintegrate back into society. However, basic services and security remain problematic. Prisoners often have to undertake hunger strikes or other extreme measures in order to access medical care, and escape attempts are frequent. 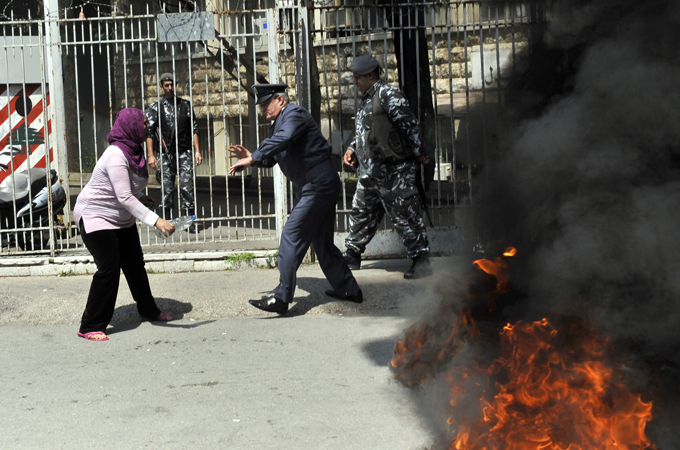 In April, Roumieh saw one of the biggest prison riots in Lebanese history. Prisoners were able to break down doors and take control of much of the prison in a stand-off which resulted in the death of four inmates. Nevertheless, Nashabe says that the riot prompted the Lebanese judicial authorities to be more flexible with incarceration as a pre-trial measure and punishment. A five-year plan to transfer management of the prisons from the ISF to a specialised body within the Justice Ministry is also under way, he says. But according to Moukheiber, “it is not a panacea just to switch prison administration from one ministry to another. The appropriate solution is much more complex,” involving a string of measures, including building new facilities, improving access to healthcare, rehabilitation services and legal aid, and specialised training of prison staff and judges. For many prisoners, such improvements will come too late. Twenty-seven year-old Marwan (not his real name) has been in prison for two years awaiting sentencing for drug dealing. “It’s unacceptable that I haven’t been sentenced yet,” he told IPS via a smart phone he’d managed to smuggle behind bars.